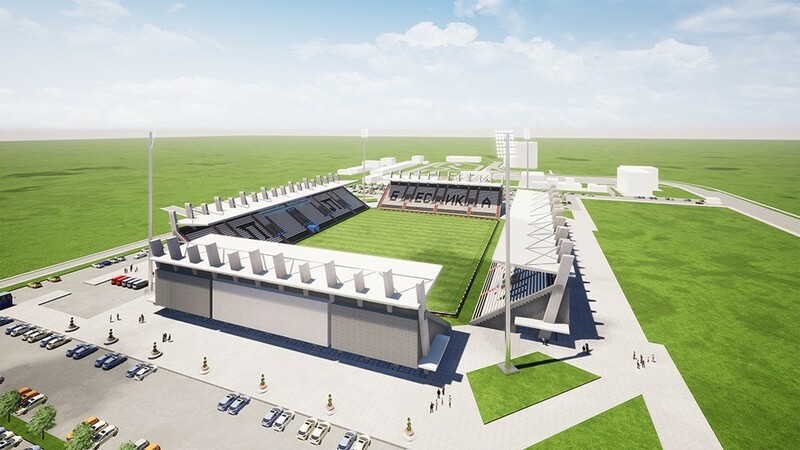 The idea of Stadion Lokomotiv’s complete redevelopment was initiated by supporters of the club back in 2010. One of the main objectives was to keep the existing U-shaped bowl without north end. 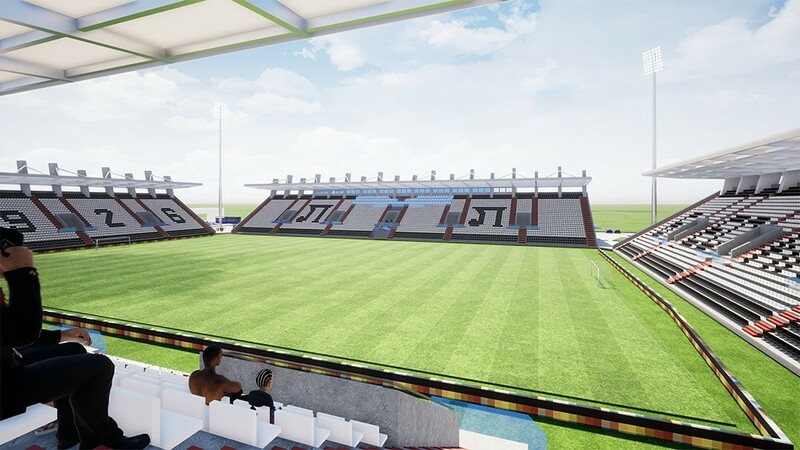 Revamped stands on the three sides would only partially remain on sloped land, getting completely new concrete outer structure with spectator amenities and club facilities. They would also be mostly covered by light steel-tensile structure and translucent sheets. 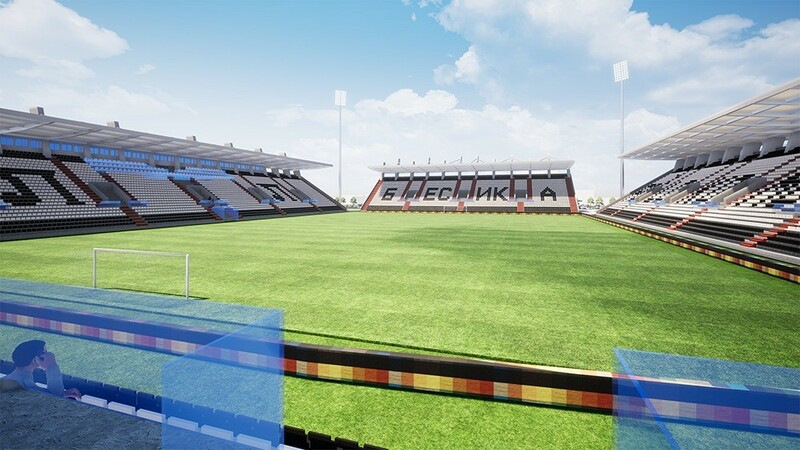 The facades’ cladding of white and black composite were to represent colours of Lokomotiv. 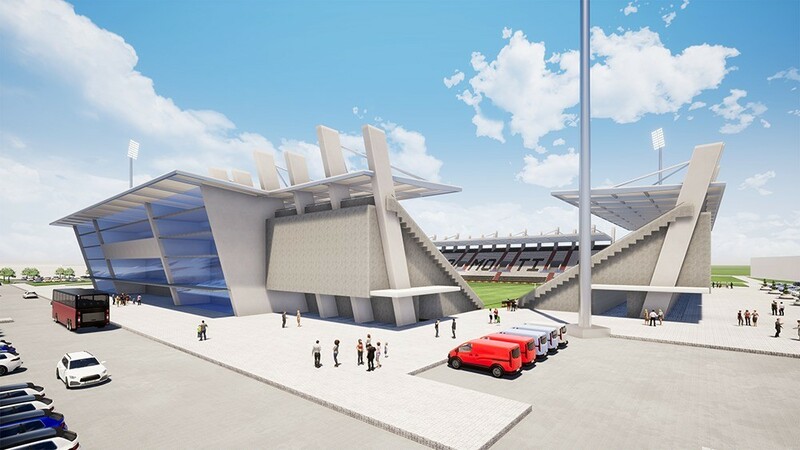 The only completely new stadium would be Besika, the north end for most vibrant supporters. 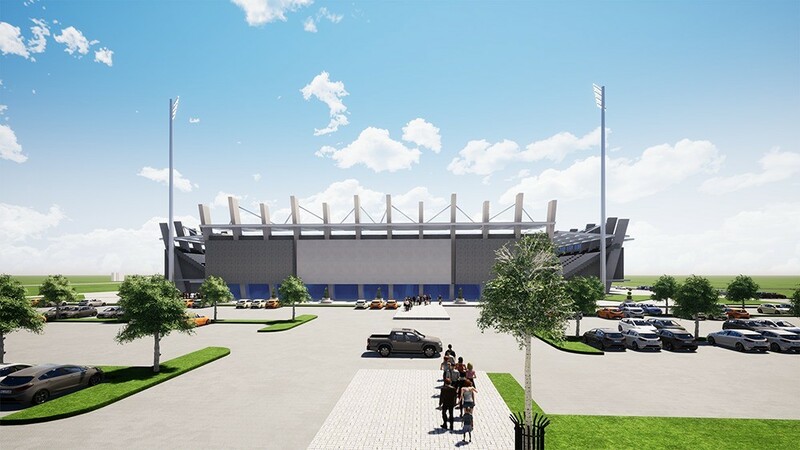 Built from scratch, this part of the stadium would hold 4,000 people (80%) covered and be integrated with an indoor hall housing 1,400 spectators. 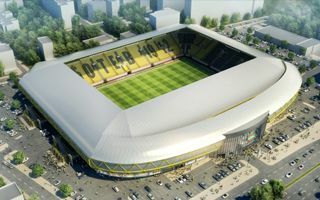 Both buildings would share one roof – one over the stand would only be an extension of the other, covering the arena. While part of the north end was demolished back in 2004, the other half went down in March 2013, being part of the promise by businessman Veselin Mareshki, who pledged to make the dream come true. 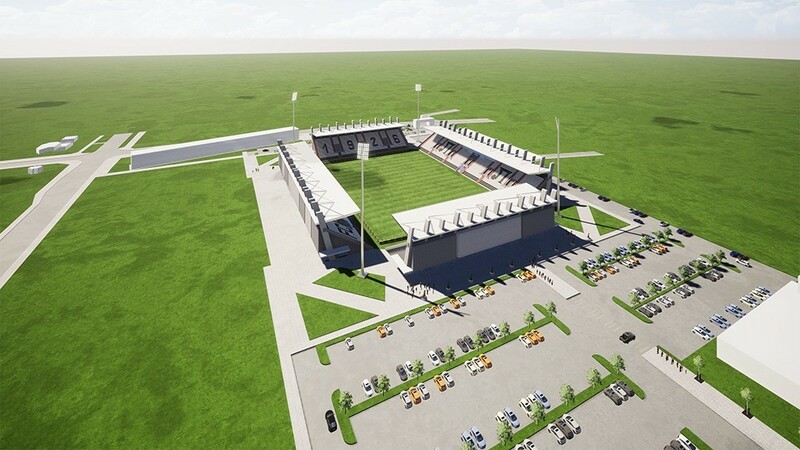 The stadium even received completely new floodlight masts to fit the final design. Unfortunately after all demolition works were carried out, Mareshki withdrew from the plan and left it on hold up to this date.